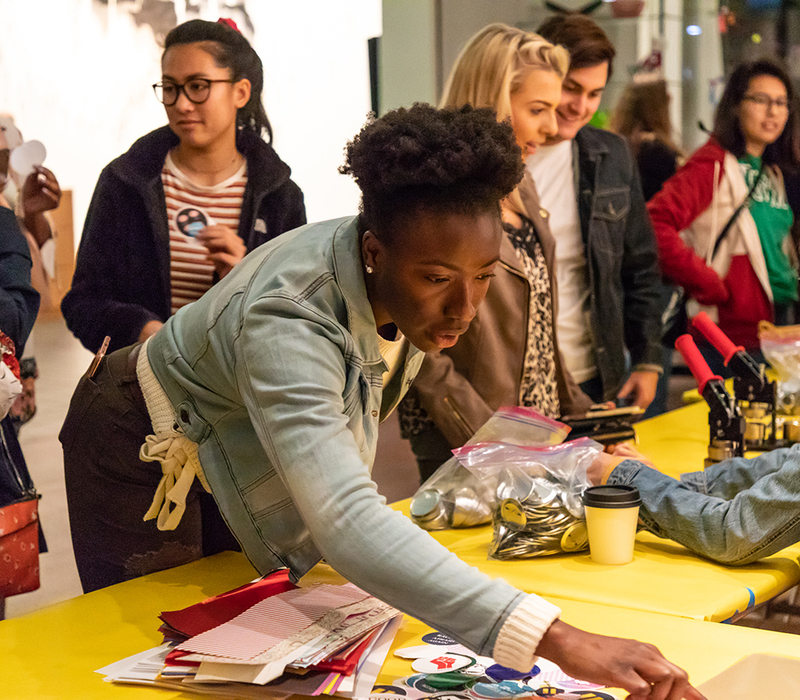 Teen Art Guides (TAGs) are a group of creative, quirky, dedicated high school juniors and seniors who love art, have an interest in museums, and want to gain experience in event planning and community engagement. 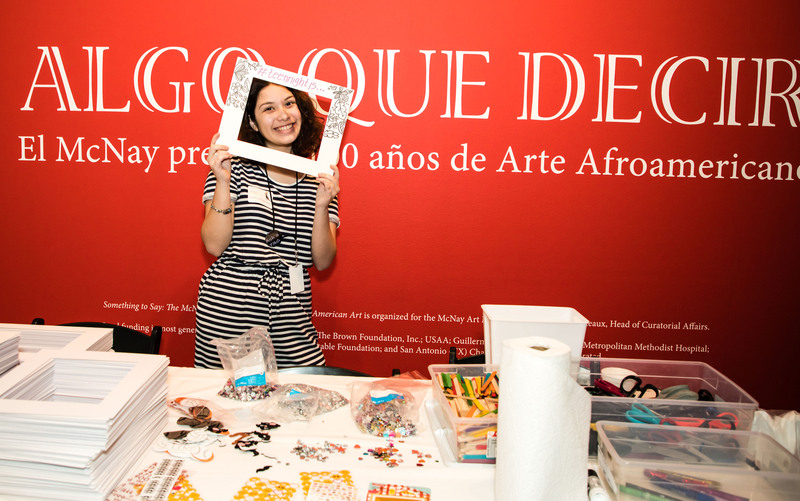 They volunteer in a variety of ways at the McNay, from facilitating Education programs, to assisting with social media marketing campaigns as ambassadors, to participating in Special Events like fundraisers, all while earning community service hours. If you are interested in becoming a Teen Art Guide, read the details below. Questions about the program or the application process can be emailed to blair.salt@mcnayart.org. Be a current sophomore or junior in the San Antonio area. Have reliable transportation to and from the McNay. Be available to volunteer on Thursday nights and/or the weekends. Be available to volunteer at some summer events, including Summer Art Camp. 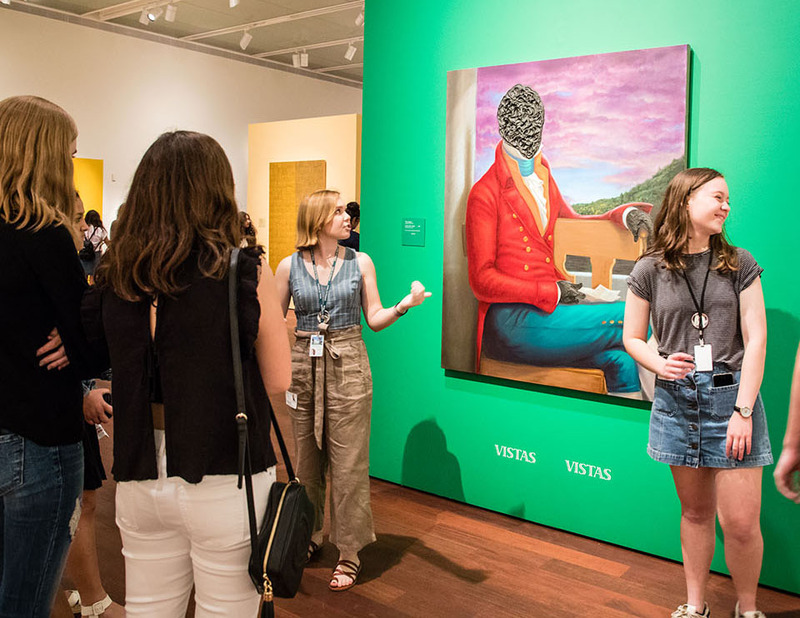 As a Teen Art Guide, you should be excited to learn and talk about works of art, as well as be committed to making the McNay a safe space for all visitors. 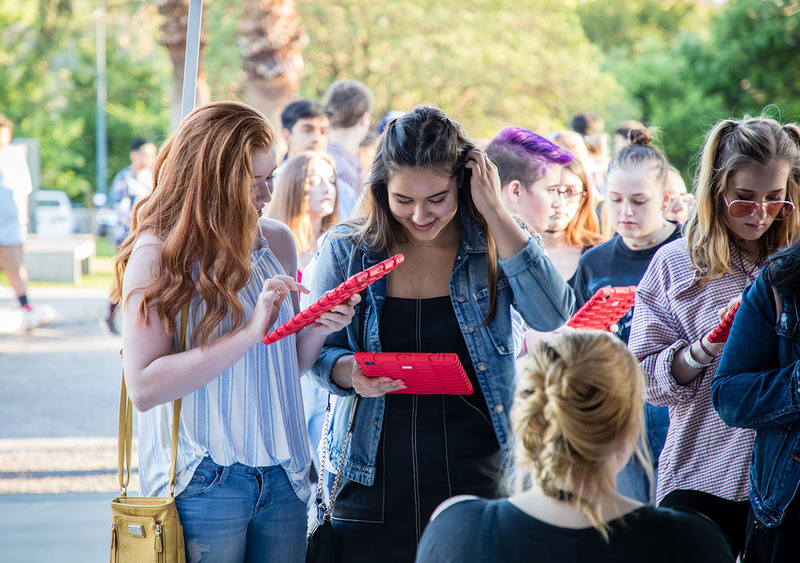 There are a variety of ways to participate as a Teen Art Guide: volunteer at Museum programs, become a social media ambassador, participate in offsite events like Chalk it Up, join the Teen Takeover Committee to plan teen programs at the McNay, and more! Although you can always volunteer as much as you like as a Teen Art Guide, there is a minimum level of participation required. Sign a pledge of commitment to TAG program and Museum policies. Volunteer at two (2) events each month, including summer. Attend two (2) meetings each semester, including summer. 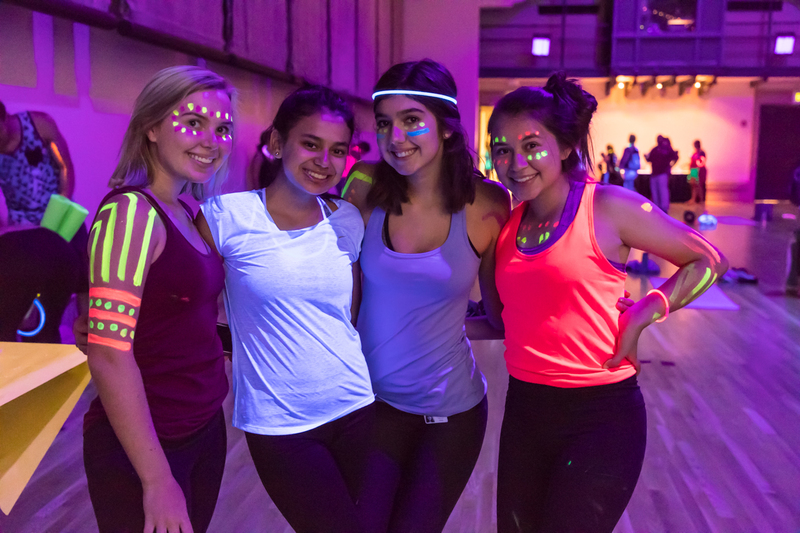 Help plan and promote Teen Night, as well as volunteer at the event. Maintain a courteous, respectful attitude towards yourself, other Teen Art Guides, McNay staff, and Museum visitors. All Teen Art Guides enjoy a mentored experience in a museum setting to include behind the scenes access to programs and special exhibitions, one-on-one time with curators and other Museum staff, personal and professional development, and opportunities to participate in exclusive events such as fundraisers, galas, and exhibition openings. Gain volunteer experience in a fun environment working a variety of programs such as summer camp, lectures, family programs, and special events. Documented community service hours provided through GivePulse. Training for how to start conversations about art. Opportunities to participate in event planning, including College Night, Teen Night, and Teen Takeovers. Opportunities to meet local artists and participate in workshops for free. Option to become a McNay Social Media Ambassador. Screenprint your own Teen Art Guide T-shirt. Teen Art Guide candidates apply at the end of their sophomore or junior year to participate in the program during junior or senior year. Applications for the 2019-2020 season are now open and are due by Friday, April 26, 2019 at midnight. Should you be accepted into the TAG program, you must attend a training session in June. Volunteering begins over the summer. If you have any questions pertaining to the Teen Art Guide program please email blair.salt@mcnayart.org or call 210-805-1767.